Mahlkönig knows how to make a perfect electronic grinder. The K30 Twin Espresso Grinder is one of the best grinders on the market today, providing 'grind on demand'. It is very easy to use, quiet, and keeps coffee nice and fresh without losing any of the aroma. Each portion is ground individually into the portafilter. No stale coffee, no need to clean out a dosing chamber on a daily basis. No loss of coffee. New, flow-optimized high precision cutting discs guarantee cool grinding, even on busy days. Electronically controlled, very exact, consistent dosage and grind profile ensure consistent pour rates. About 1.9 sec. per single espresso. 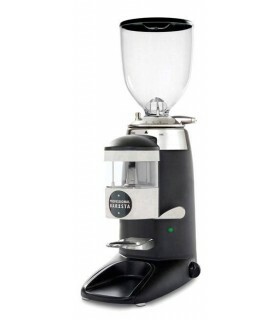 Grinder starts automatically when inserting the portafilter, giving a hands free operation. The K30 Twin has 21 different grind settings for very small increments. The Twin allows even finer adjustment because it is step-less. It can even grind simultaneously into both portafilters. The holder of the portafilter is adjustable for all types of espresso machines. In less than one minute the grinder can be disassembled by the operator for cleaning or maintenance. 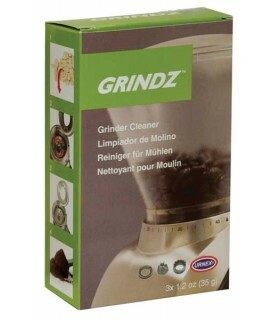 This allows frequent cleaning and hygienic grinding.